Real Madrid manager José Mourinho has said that his priority next season will be to guide the club to Champions League success. Real Madrid are the most successful team in the European competition after having lifted the famous trophy nine times in their history. AC Milan are the second team, but they have only seven trophies to their credit. However, it has been quite awhile since Real Madrid lifted the famous trophy – more than a decade to be precise. Real Madrid last tasted Champions League success under current Spanish manager Vicente del Bosque back in 2001. They are looking to extend their record by winning the 10th Champions League title, but it has eluded them for the best part of a decade. Real Madrid recently appointed manager José Mourinho not only to wrestle the la Liga title back from Barcelona, but also to achieve this elusive dream. The Portuguese manager has won the famous competition twice with two different clubs, although he failed to achieve the dream with English club Chelsea. He is looking to become the first manager to win the title with three different clubs. As a result, he will be focusing on the prospect of winning the title next season according to the Portuguese. “I want to win the Champions League with three distinct teams. Now Real Madrid has won the league, the objective for next season is to win the Champions League. I don’t believe I could manage a national team that only plays a game every two months and an official tournament every two years. I need the pressure of facing two or three games every week,” said José Mourinho regarding the priorities for next season. Real Madrid are not expected to change the squad dramatically after failing in the semi-final stage of the competition in succession. 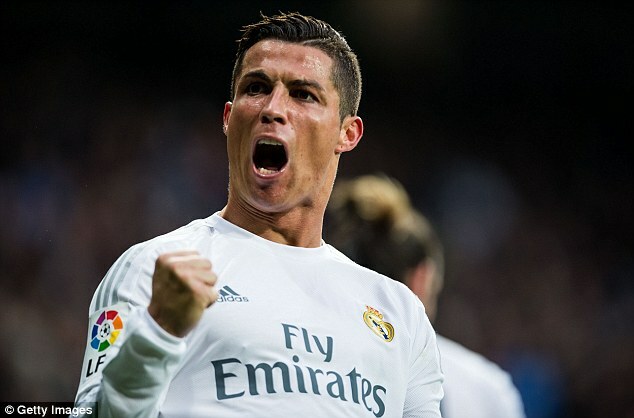 Real Madrid were recently increased the difference between them and 2nd placed Barcelona to 10 points, thanks to a Cristiano Ronaldo inspired 4 – 2 victory over Levante recently. It was a game which Real saw as an important game to put even more breathing space between them and their rivals Barca, who had lost on the Saturday 3 – 2 to Osasuna. Levante took a shock lead after 5 minutes, but the Madridistas were not going to go down without a fight, and thanks to a Ronald hat trick, they claimed another comprehensive 3 points. The goal that completed that Ronaldo’s hat trick was an exceptional goal, a fierce dipping shot that left the Levante goalkeeper helpless, a sight that Manchester United fans had grown accustomed to during his time at Old Trafford. With such a large gap between Madrid and Barca at this stage of the season, Mourinho’s men look to be well set for their first La Liga title since 2008. Incredibly, despite the successful season Real have enjoyed so far, tensions are still thought to be running fairly high, with manager Mourinho being the subject of many rumours linking him to other managerial positions and of his disliking of the lifestyle as Real Madrid manager. There have also been rumours that Mourinho has had heated disagreements with some of his key players such as Sergio Ramos, but the club has moved quickly to attempt to dismiss these rumours. Madrid appear to be well set for a hard earned league title, and with a good draw in the Champions League, there is every chance this could be Madrid’s big year, and Mourinho will continue his managerial dominance.